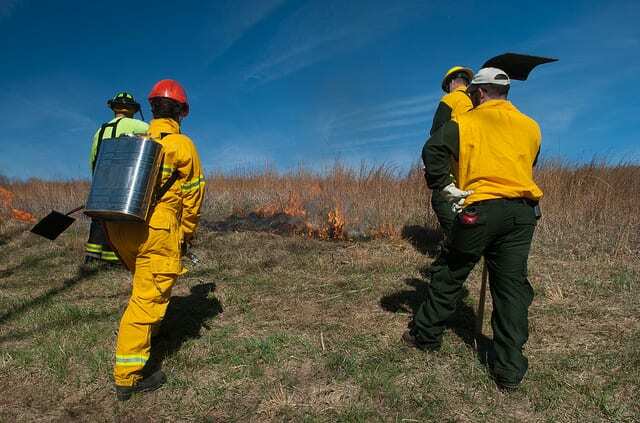 Any kind of prescribed burning has a lot of thought and careful planning behind it. Everything from safety to environmental impact need to be considered to ensure that a burn is beneficial, not detrimental. 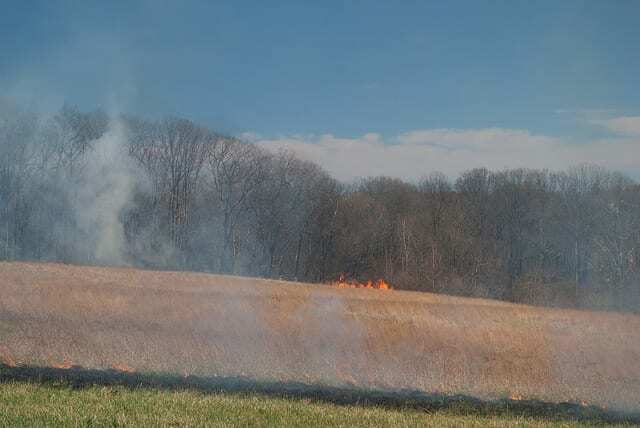 Keeping this in mind, here is the story of one of our two prescribed field burns that we had right here at Winterthur on April 5th. The fields we chose to burn were Armour Farm Meadow and our Route 100 field. But Why Burn at All? 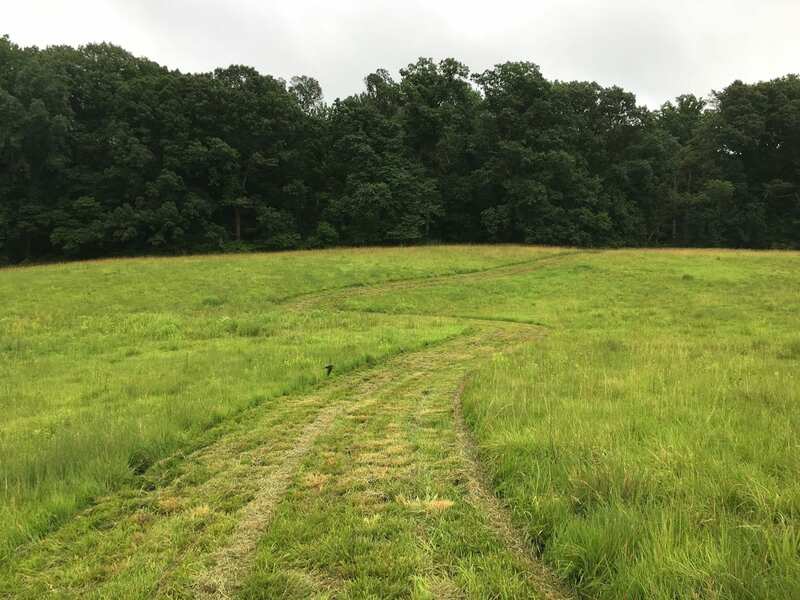 Armour Farm Meadow is an old agricultural plot that was previously maintained for hay production, but more recently it has been maintained as a meadow. 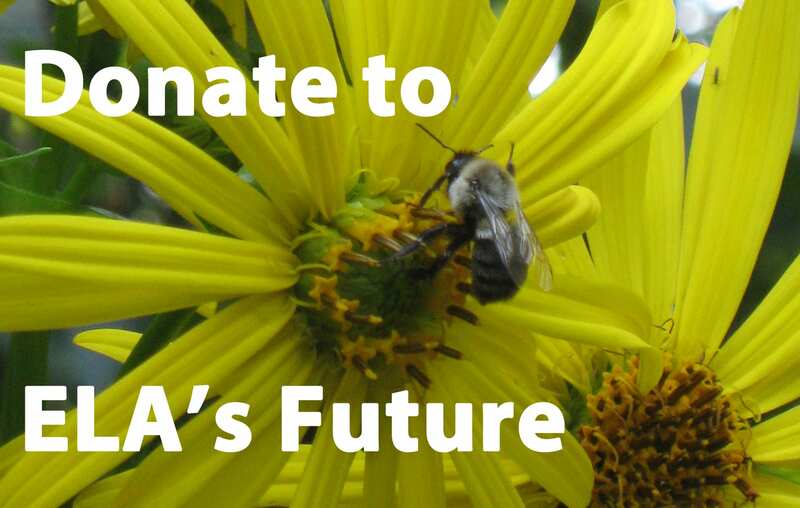 Since it is out of agricultural production, wouldn’t it be better to leave it alone to let nature run its course? Well, not necessarily. 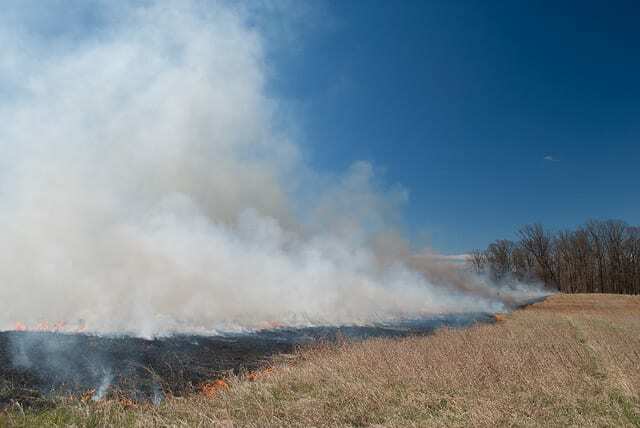 We chose to burn this field mainly because there are two wood lots on either side of the field (Chandler Woods and Armour Farm Woods). The field was still full of grasses and thatch materials, like broom sedge (Andropogon virginicus) and purple top grass (Tridens flavus), from its days as a hay field. Our hope is that we can redefine the line of the field in order to join the two wood lots. 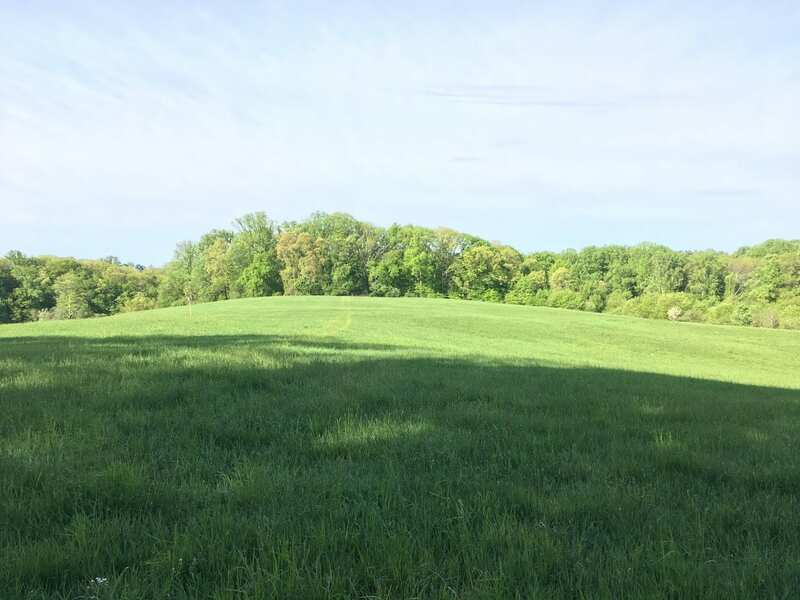 There is already a strip of young woods at the west end of the field which barely connects the wood lots, so the redefinition of the field will extend that strip a bit into the northwest corner of the field. We’re hoping that the fire will provide good conditions for native tree seeds, such as birch (Betula spp. ), tulip poplar (Liriodendron tulipifera), flowering dogwood (Cornus florida), and oak (Quercus spp. ), to come out of dormancy and essentially begin to regenerate the forest that has been separated by the field. Fire can help seeds come out of dormancy through several mechanisms – whether it’s changing the temperature and moisture levels of the seed itself, or reducing competition for light, nutrients, and water by burning away invasive or aggressive plants. 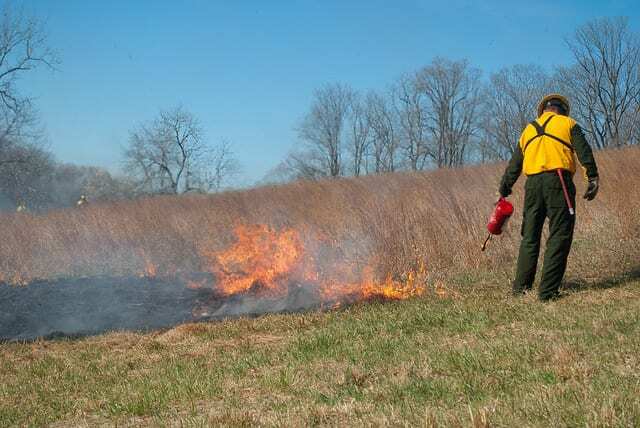 As to the Route 100 field, our main reason for burning was to help with the control of invasive species. At the time of the burn, our native plants hadn’t started leafing out yet, whereas the invasives, like multiflora rose (Rosa multiflora), had. The fire kills the leafing part of the invasives and sets back their growth schedule. So, when the plant sends up new, young growth, it will be easier to treat with herbicide. 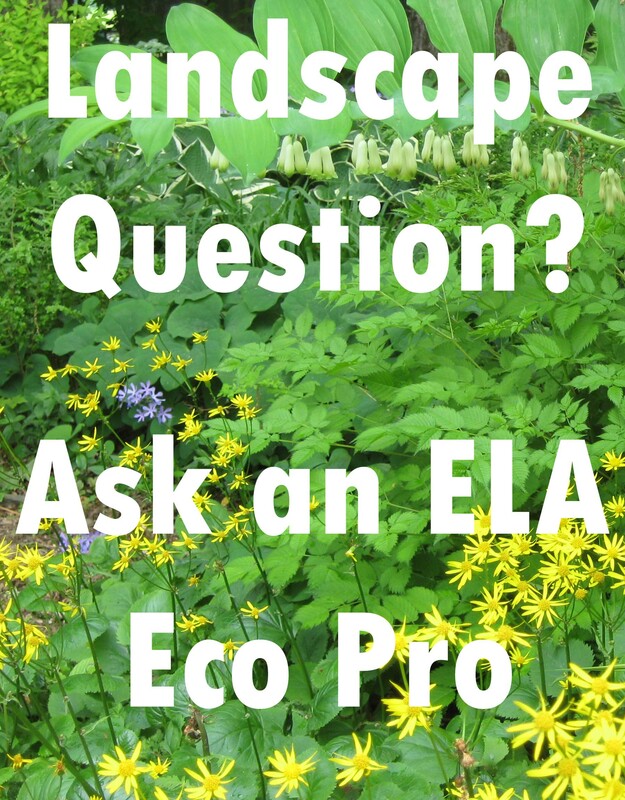 When we can suppress invasives, it gives our beneficial native plants a better chance to obtain resources and thrive. For brevity’s sake, I’ll only recount our burn of Armour Farm Meadow. 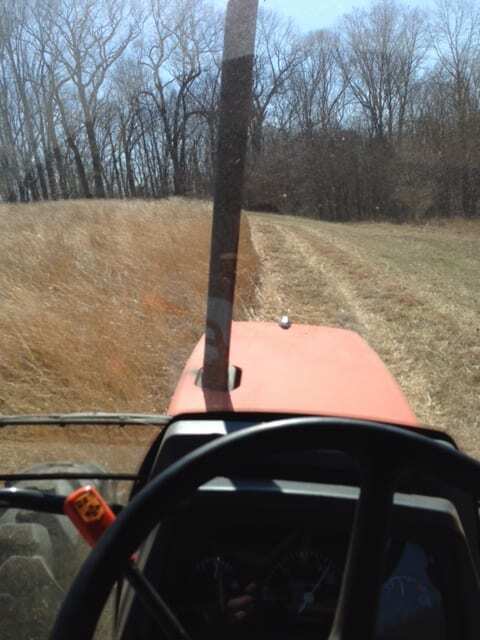 In preparation for the burn, we mowed firebreaks around our fields to ensure that the fire would not escape the burn unit into wooded areas. 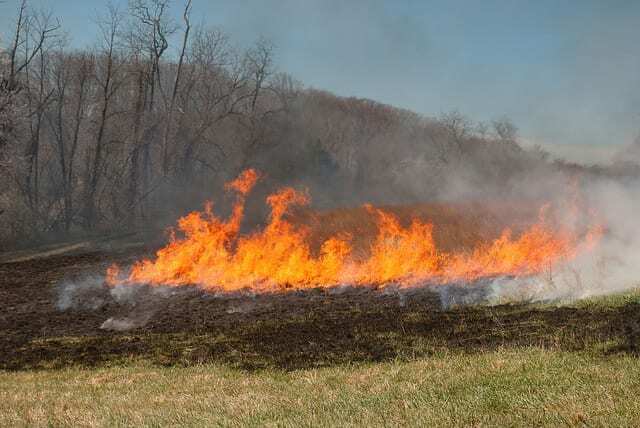 Furthermore, we obtained a burn permit from the Delaware Division of Natural Resources and Environmental Control (DNREC) Division of Air Quality to make sure our burn would have minimal environmental impact. We also met with the Winterthur fire chief to ensure public safety, as well as the safety of our burn crew. 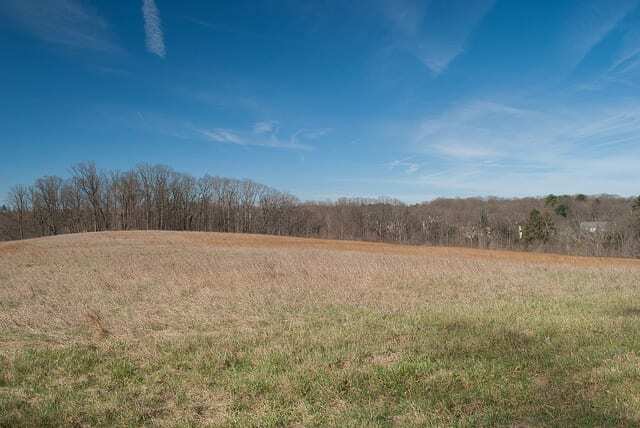 Left to right: Carrie Toth, Madeline Banks, and Marlin Dise (Winterthur Natural Lands) survey the field. On the morning of the burn, we were up bright and early to prepare for the day! 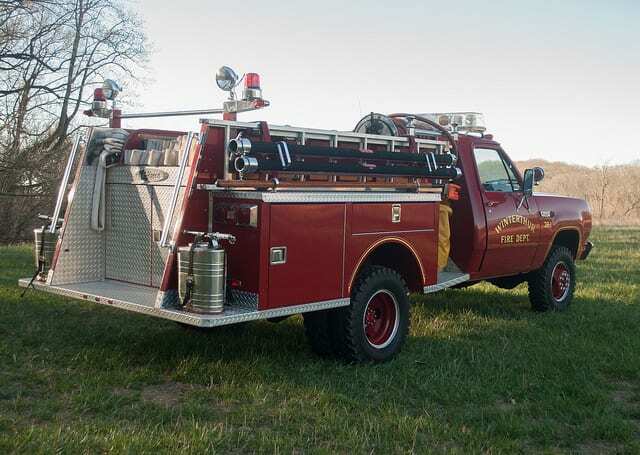 We got out our small fire engine to stage on top of the field, and the Winterthur fire department was staged at the bottom of the field with a 750-gallon fire engine. Both trucks were filled with water and ready to go. We also made sure to contact local fire stations to let them know when we were burning. We didn’t want them unnecessarily sending out firefighters to our burn! A 250-gallon pump truck was staged and ready to go. Throughout the day our Natural Lands team as well as staff from Mt. Cuba Center and Longwood Gardens were all there to help with the burn. We assembled gear, suited up, and made a game plan. We decided to divide into two teams so that we could establish a black line around the perimeter of the field. We established the black line by lighting the edges of the field so that any burning that happened would not escape the burn unit. We started this by lighting a test fire. Each team slowly began lighting in opposite directions around the field, both keeping in radio contact with one another to make sure they were working at an even pace. Members of each team were spaced out to make sure that the fire was completely out before moving up. Both teams met up at the bottom of the field and joined to two fire lines. By this point, the wind was strongly moving east, so it carried the fire into the center of the field on its own. This ended up being advantageous because no one had to walk into the center and light. Even though the fire was moving on its own because of the wind, it was safe owing to our established black line that surrounded the field. The fire would not go beyond it. 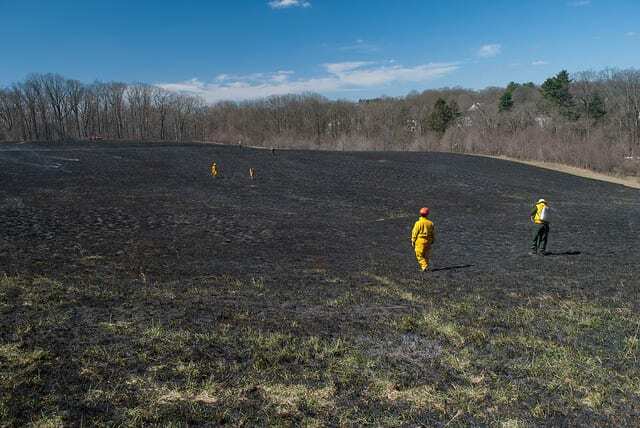 A windshift caused the fire to move towards the center of the field. Still, this was a bit nerve-wracking. The fire burned so hot and so fast that the whole area was consumed in smoke. It was impossible to get any good pictures of this moment. I almost felt trapped, being positioned with the trees of the young forest strip behind me and fire and smoke in front of me. A view of the smoke from the top of the meadow. Note the blackline retaining the fire. In that moment I could see how it could have gone so wrong if we had stopped paying attention to the wind – or if we had lost contact with the team on the other side. But just like that, after all the commotion, it was finished! It sounds a little anticlimactic – but it kind of was, in a way. One moment, Armour Farm Meadow was a blazing inferno. The next, it was just over. All the prep work, careful planning, and strategic lighting left us with the exact result we desired – a blackened field. The physical fire was gone, but excitement still hung in the air. Even for a few days following the burn, I just could not believe what we had done. I am monitoring the field on a weekly basis now, watching it spring to life once again. The meadow has sprung to life again one month after the burn. One thing I am grateful for is the opportunity to monitor the meadow after the burn. It is incredible to see the changes it goes through as the seasons progress. 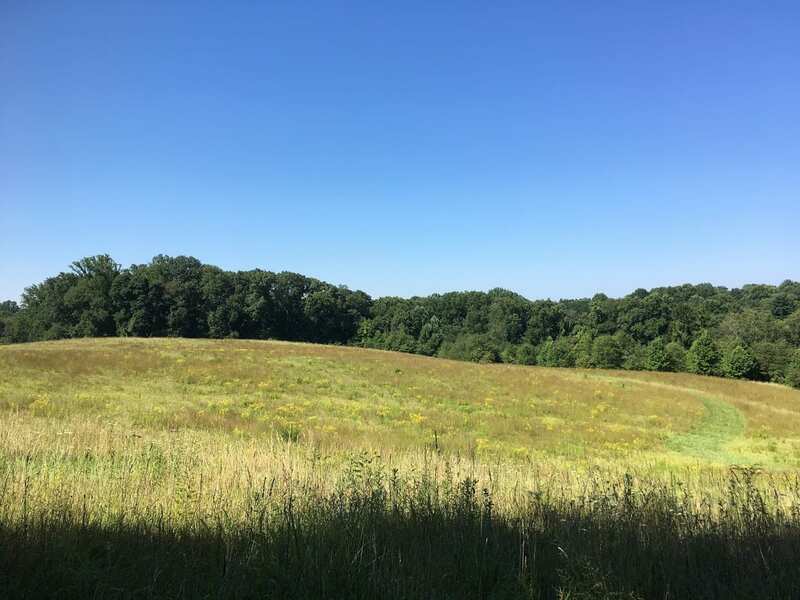 Through weekly surveys, I have been able to identify over 50 species of flowering plants in the meadow. This kind of documentation (however rudimentary it is with what limited time I can spend on it) had never been done for our natural areas by Winterthur staff before. It is beneficial to have a species content list so we know what we have – good and bad – so we can work on management plans for the future. Post burn, we went ahead with our efforts to reforest the north side of the meadow. First, we staked out saplings present so we knew what we were dealing with. 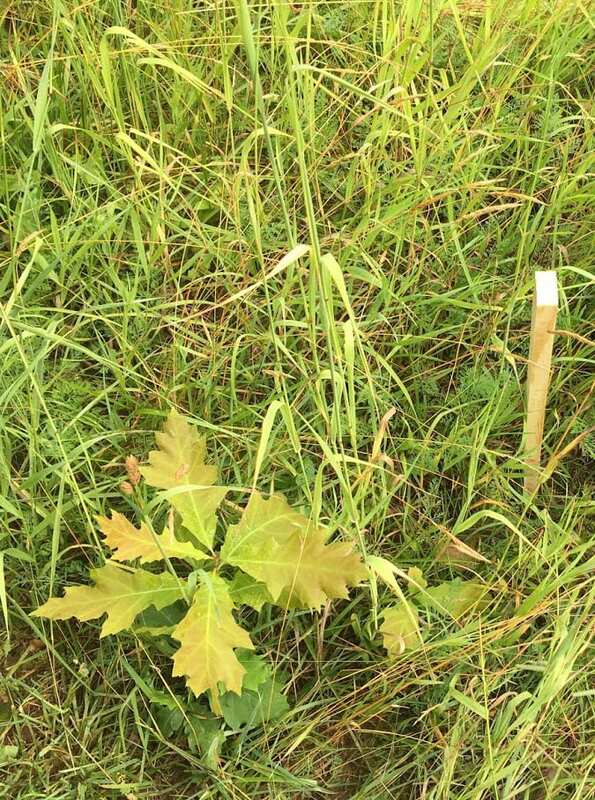 Fortunately, there are good stands of young oak and tulip tree saplings with sprinklings of sweet gum (Liquidambar styraciflua) saplings throughout our desired area. Knowing there was a good seed bank, we mowed a new line of definition. Everything to the north of the line will be left alone from now on while everything south of the line will be maintained as a meadow. Currently, we intend on allowing this area to regenerate naturally, even though this is the long way around. Our hope is that one day, the plot will return to the forested wood lot it once was. 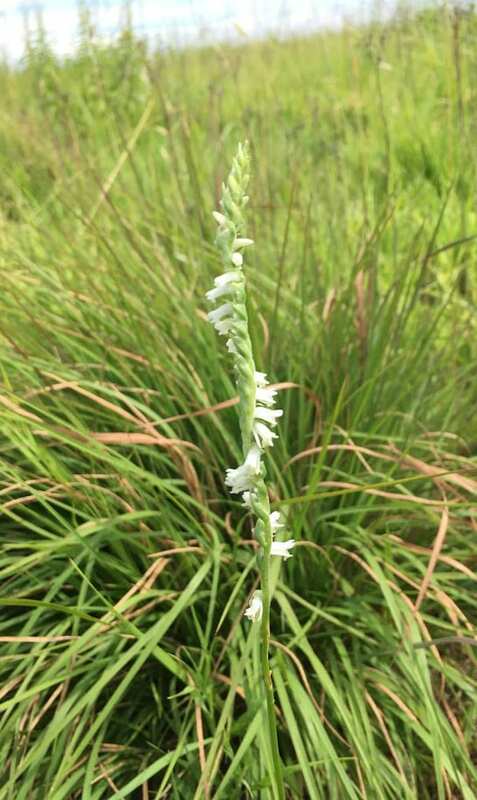 Native terrestrial ragged fringed orchid (Platanthera lacera) makes an appearance in July. In my extremely biased opinion, Armour meadow is Winterthur’s hidden gem. Neatly tucked away on the edge of the property, you can only catch a glimpse of its south side looking left past the pond as you enter the property coming down the main drive. In the summer, the absolutely-visitor-accessible meadow presents visitors with bright yellow black-eyed Susans (Rudbeckia hirta), deep purple ironweed (Vernonia spp. ), abundant goldenrods (Solidago spp. ), and waves of warm season grasses. 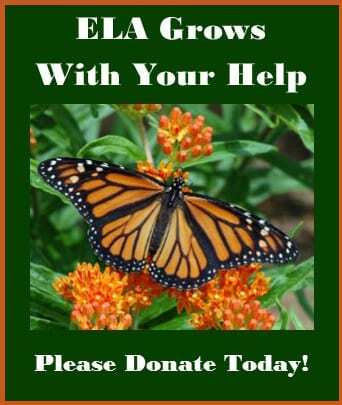 The more dedicated guest discovers the truly special – Virginia mountain mint (Pycnanthemum virginianum), green milkweed (Asclepias viridiflora), and even a few species of native terrestrial orchids. 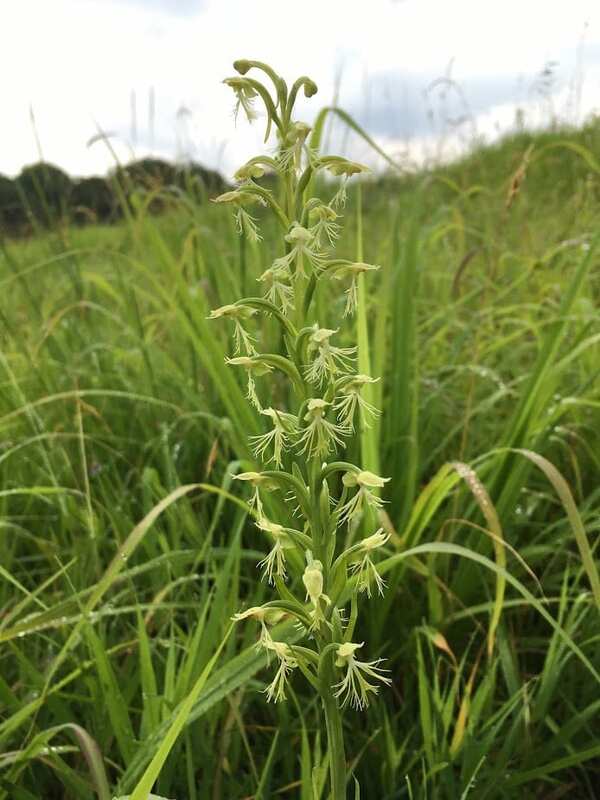 In July, a walk all the way down the north side of the meadow rewards the visitor with over 90 individuals of ragged fringed orchid (Platanthera lacera), and in August with a substantial quantity of ladies’ tresses orchids (Spiranthes lacera). Native terrestrial ladies’ tresses orchid (Spiranthes lacera) in August. Since this is the first year we have burned this field, and the first year a vegetative survey has been conducted, I can’t say whether the burn helped bring out these interesting plants. However, with more monitoring after annual maintenance will hopefully come some answers. As I write this in late summer on the threshold of autumn, the meadow is a mosaic in goldenrods and purpletop grass. It has most definitely been a lesson in nature’s resilience and response to human inflicted management practices. 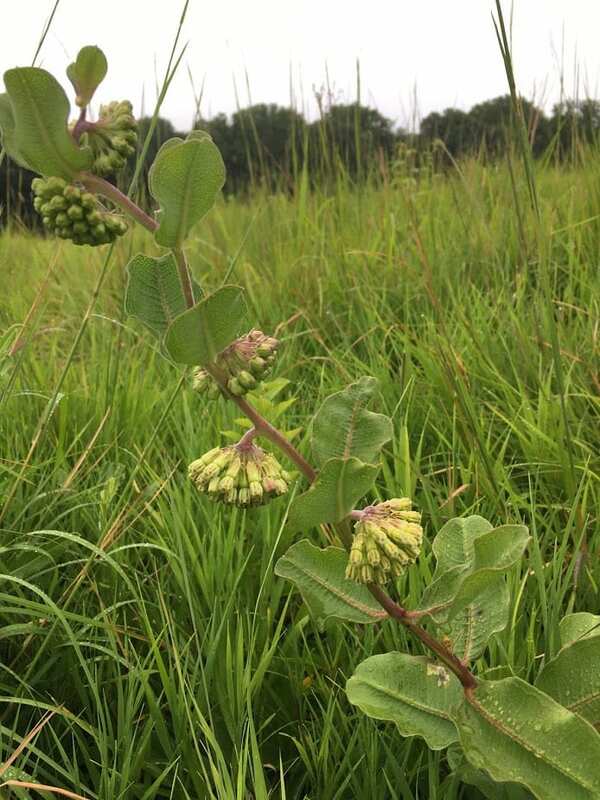 An uncommon native, green milkweed, (Asclepias viridiflora) appears post burn. Special thanks to Linda Bailey, former Winterthur Natural Lands Technician, for taking all the wonderful pictures of the burn. Also thanks to Nathan Shampine, Aaron, and Lou from Mt. 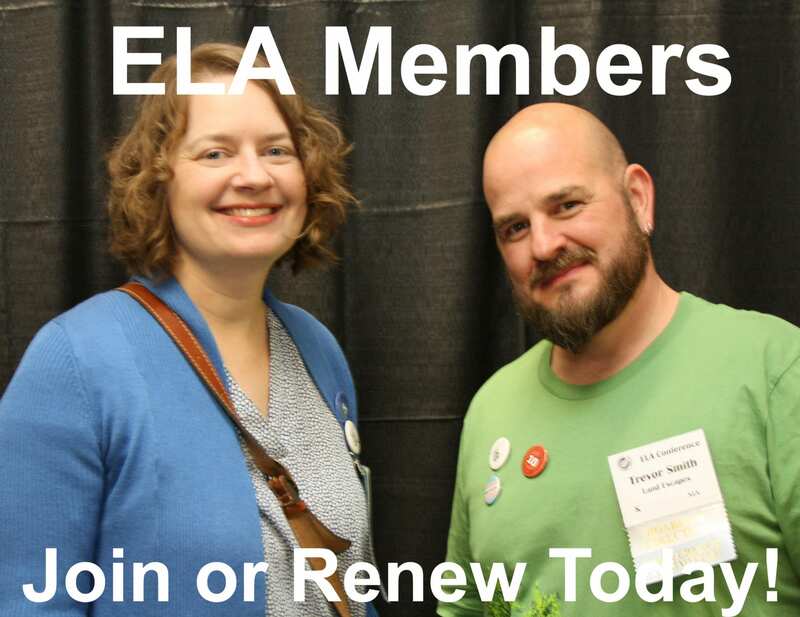 Cuba Center and Erik Stefferud and Jordan Foreman from Longwood Gardens for helping make this project happen. Madeline Banks is the Natural Lands Intern at Winterthur Museum, Garden and Library. There, she assists with diverse projects including growing freshwater mussels in two of Winterthur’s ponds, managing a herd of goats to assisting with invasive plant control, and reporting data on Winterthur’s Eastern bluebird population to Cornell University. 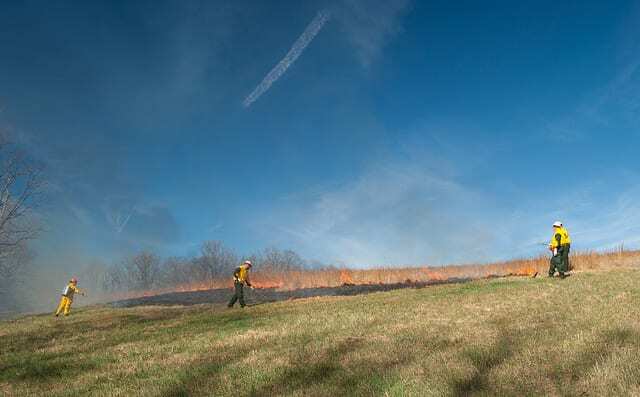 Curious about prescribed burning for meadow management, Madeline was also the driving force behind this spring’s two field burns, a procedure not attempted at Winterthur for several years. Madeline is a 2016 graduate of Miami University of Oxford, Ohio, where she completed two Bachelor of Arts degrees: one in botany, with an environmental science concentration, and the other in German.